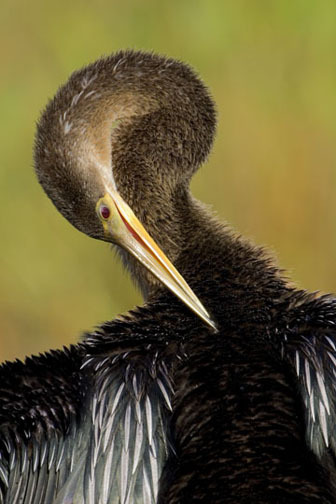 Anhingas are often called 'snakebirds' because of their long, skinny necks -- often the only part showing above water level. 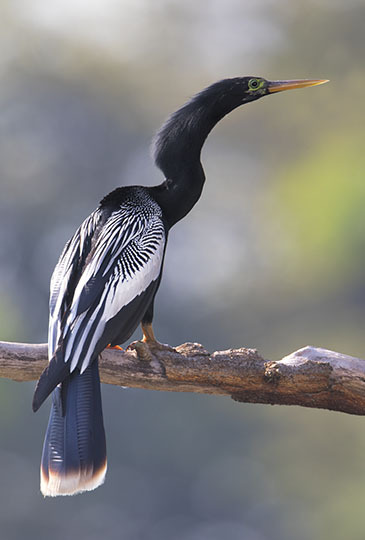 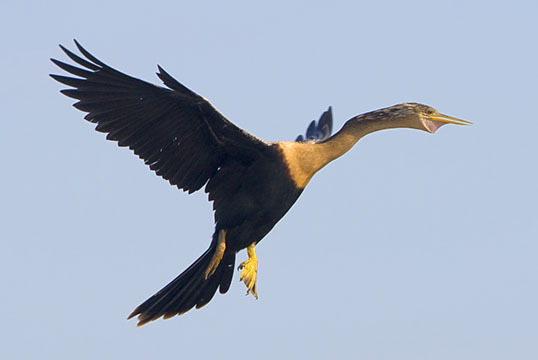 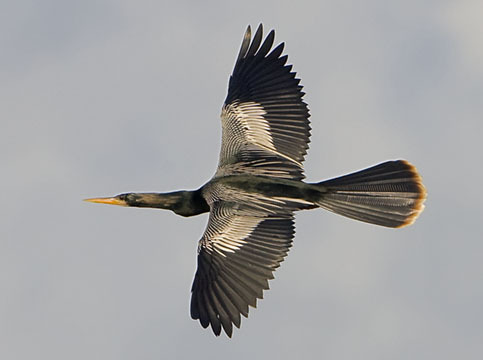 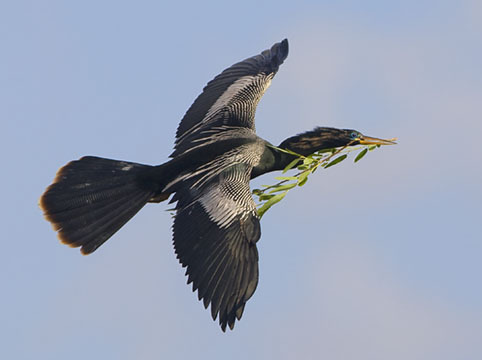 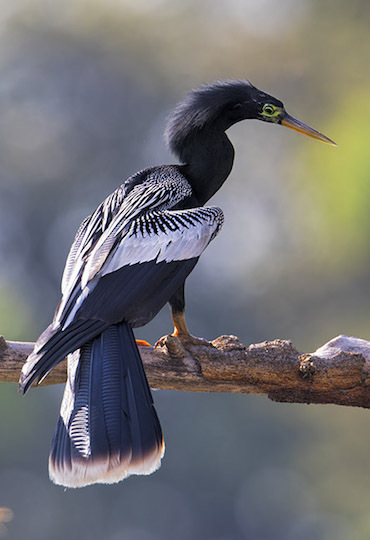 Like other cormorants, anhingas have plumages that get wet when under water, and they spend a lot of time basking in the sun to dry off. 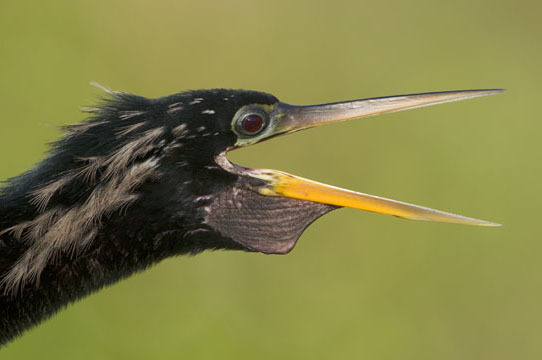 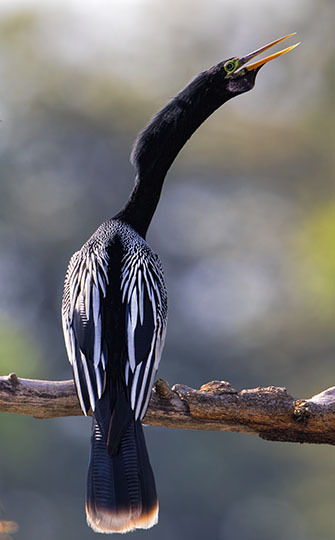 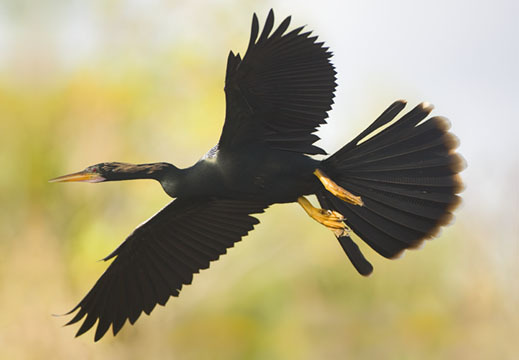 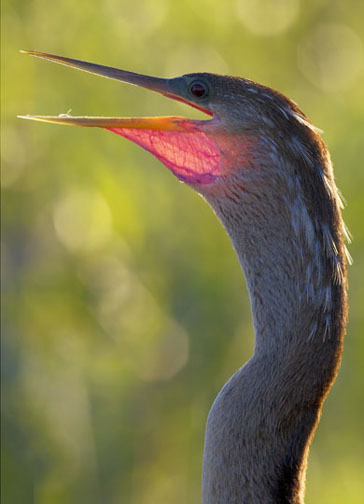 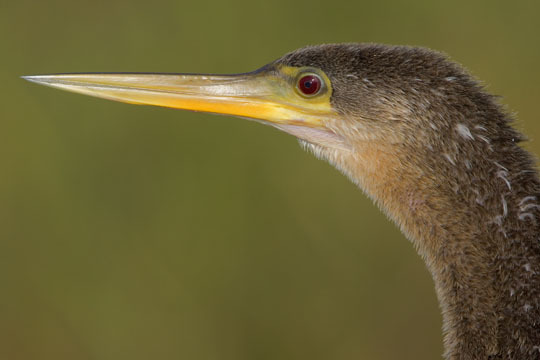 These birds -- females with buffy necks, males with dark necks -- were sunning or flying around in Everglades National Park and Merritt Island wildlife refuge, Florida, and near Cali, Colombia.